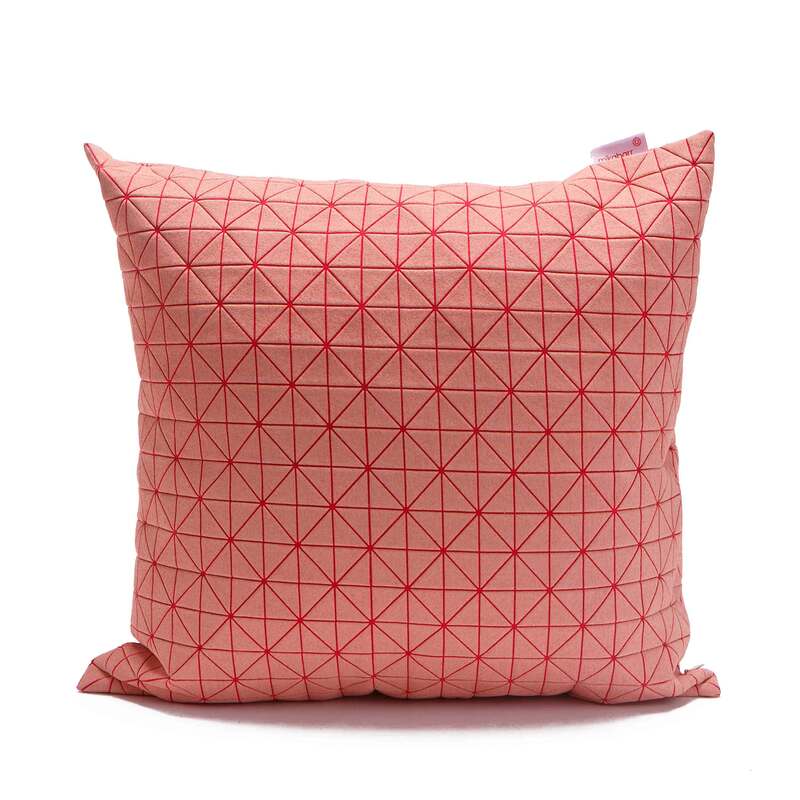 A high quality, 100% cotton, jacquard knitted cushion. 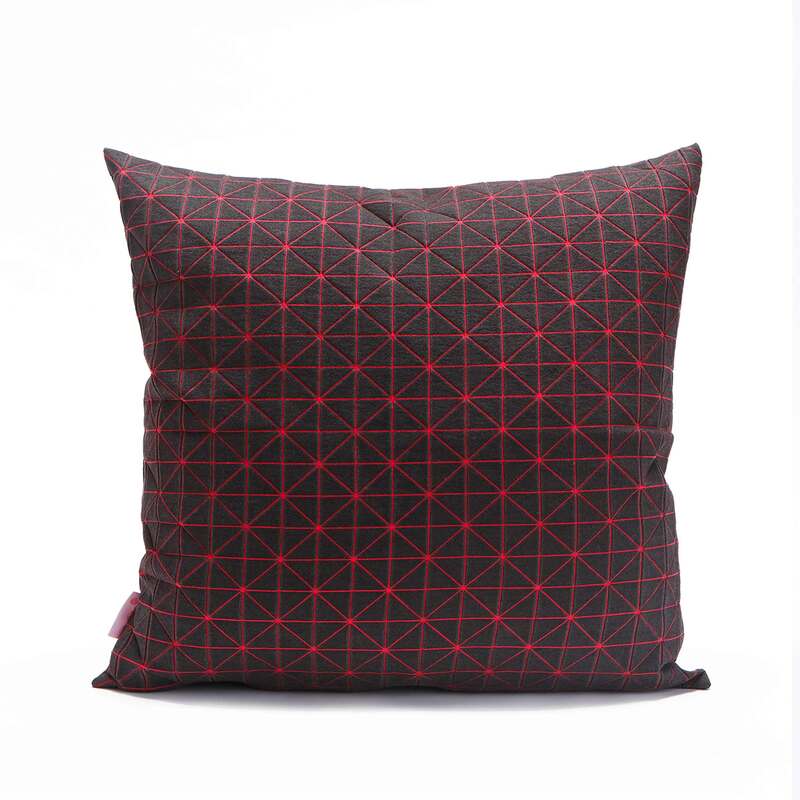 This comfy, cosy & unique cushion will enrich your living room or bedroom, and add warmth and softness to your environment. 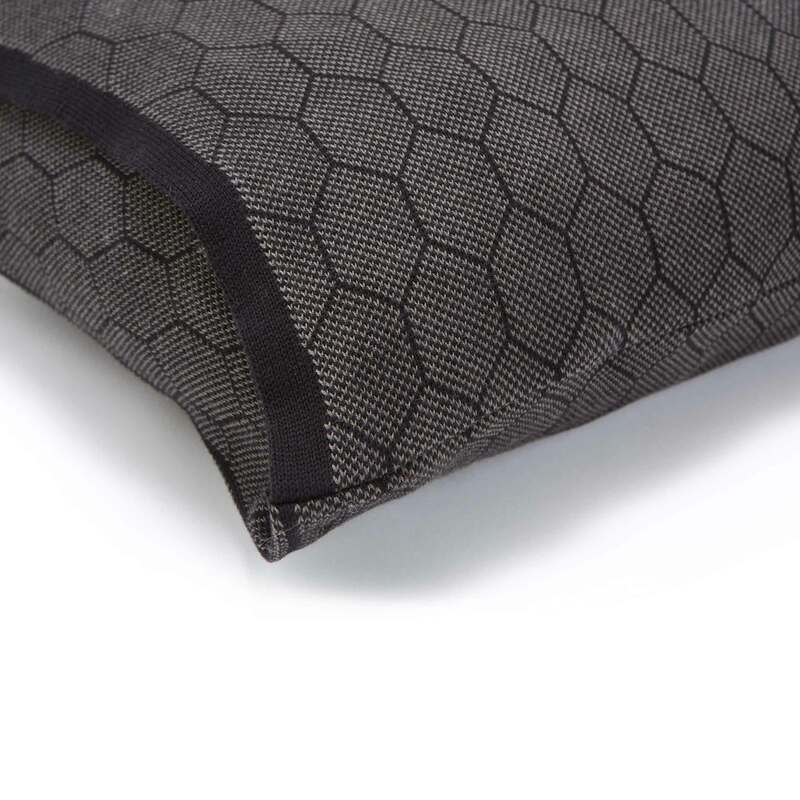 With honeycomb pattern, The design features an envelope closure with a panel of colour on the edge. 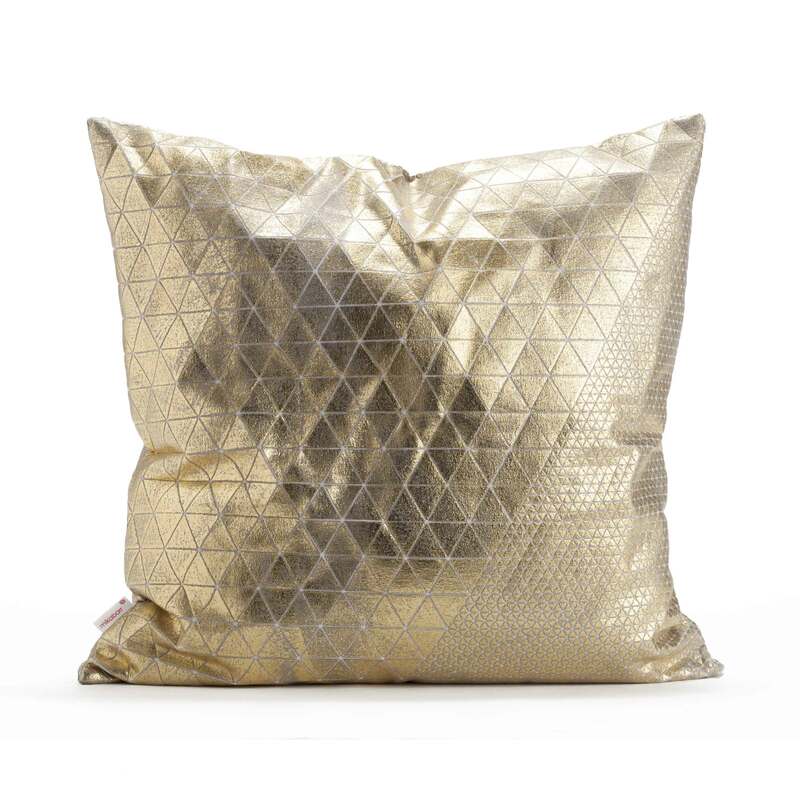 A soft fabric that comes in sophisticated colour ways that will add richness and cool to the room, on your sofa or favourite chair. 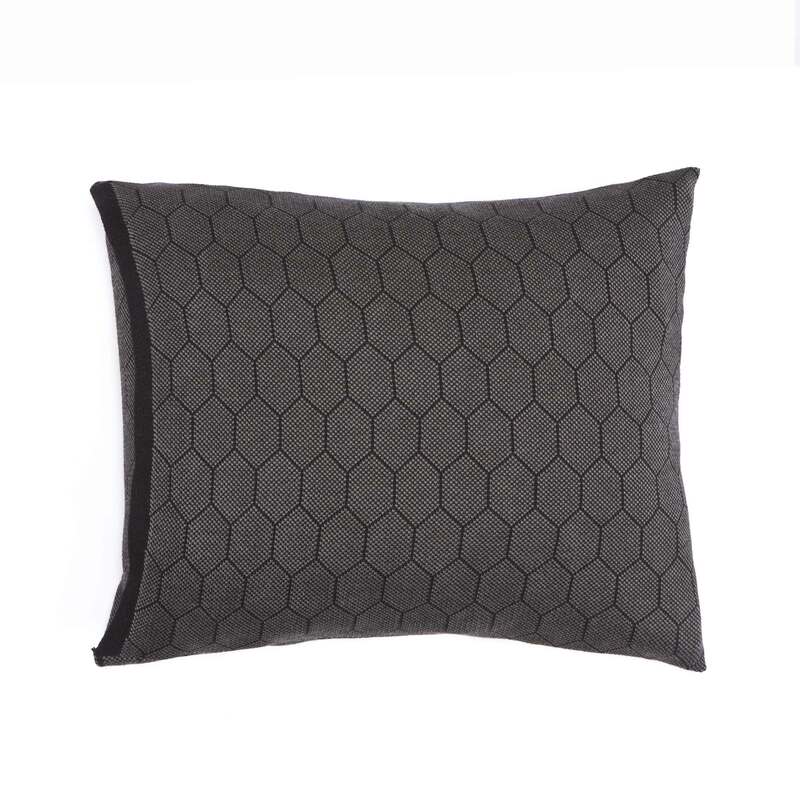 This decorative grey and orange throw pillow cover is made of a mix of natural cotton yarns and polyester, and is machine wash friendly. 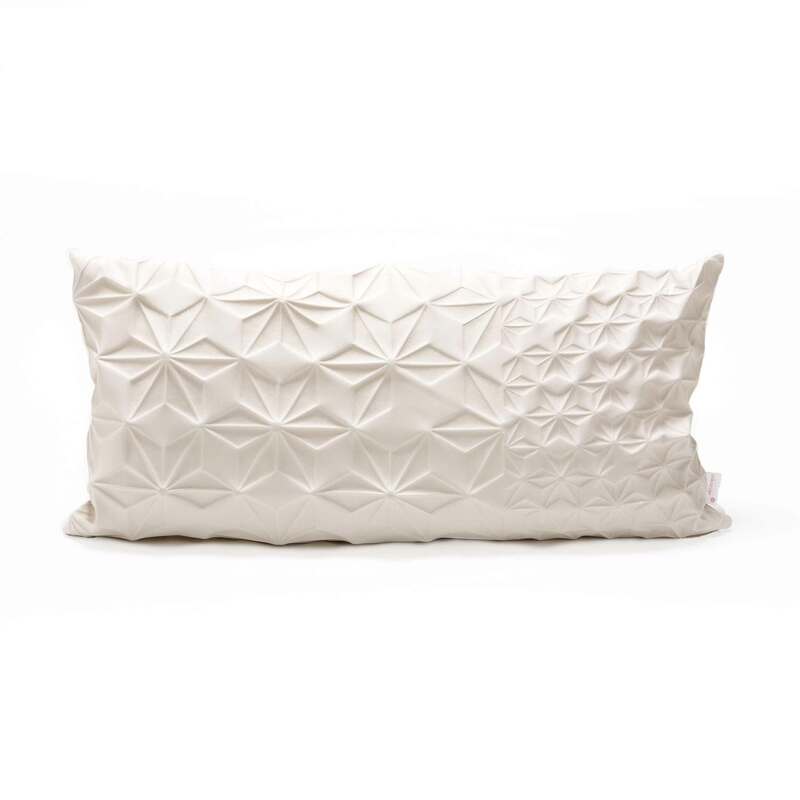 Materials: A high quality, 100% cotton, jacquard knitted.